We’ve already started our planning for Duofest 2018 and are looking forward to next year being our best fest yet! While Duofest is taking a break for 2017, PHIT Comedy is still bringing the best in improv, sketch, variety, and stand-up from across the country to our stages every week of the year. If you’re interested in playing in Philadelphia, we’d love to hear from you! Visit PHIT Comedy’s Contact page for info on how to be in touch. Get ready, Duofest 2018 is going to be worth the wait! The Düofest 2016 Schedule is Now LIVE! It’s April 1st, so you know what that means…THE DÜOFEST 2016 SCHEDULE IS NOW LIVE!!! Thank you so so so much to everyone who applied their duo to the festival. The producing team had so many great acts to choose from this year, and after some tough decisions we’ve put together the most diverse line up of acts from around North America we’ve ever had! This year’s festival is going to ROCK! Check it out! Save the Date for Duofest 2016! Duofest 2016 is coming Wednesday June 1st through Saturday June 4th, 2016 and you’re invited! The one and only festival dedicated to celebrating the kind of comedy that comes in twos. 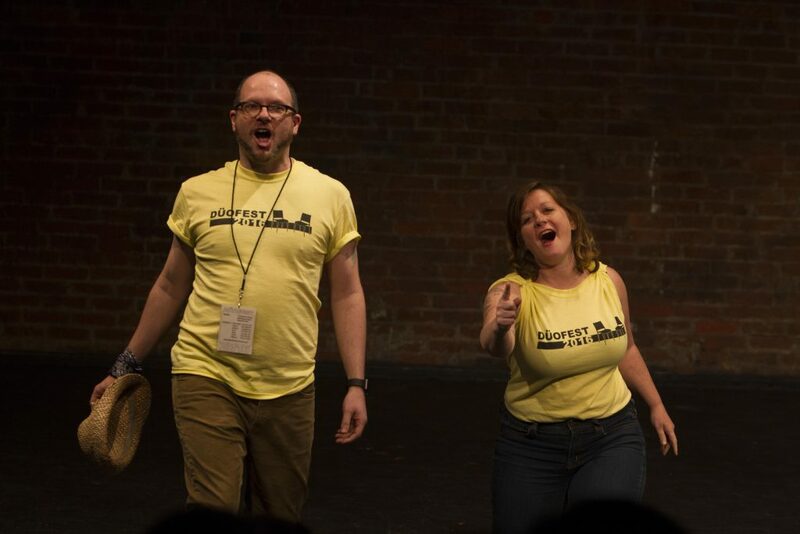 Get excited as talented duos from around the country, and even the world gather at the Philly Improv Theater in Philadelphia to bring us a weekend of amazing performances, workshops and more!